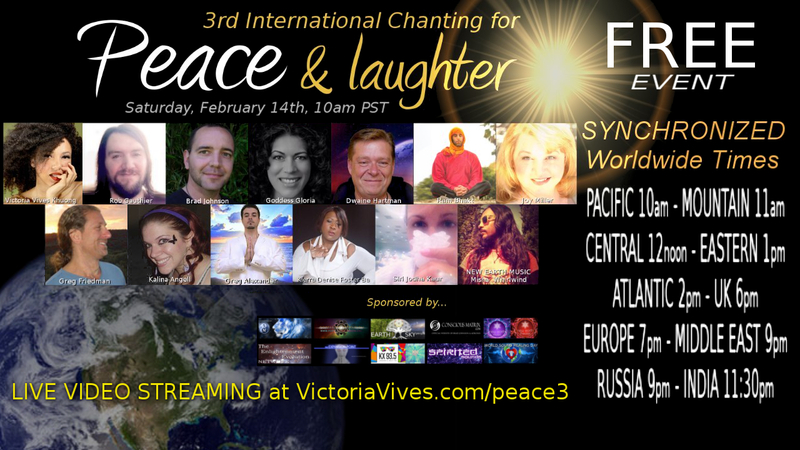 3rd INTERNATIONAL CHANTING for PEACE & LAUGHTER! Worldwide Celebration! FREE ONLINE EVENT! There was an experiment, in which 7,000 people got together to meditate. This resulted in a 72% decrease in crime worldwide. We can make this happen once again, this time with our voices! On top of that, we are adding stand up comedy this time, so that we can maintain a very happy frequency together and bring greater transformation to the world at large. You can join us on your own and also we are encouraging joining us with a group, so that different communities around the globe join in this chant for peace. If you would like to share this event, we will be grateful for it. The more we are, the more transformational it will be! ☮ PLEASE SHARE: How many can we get together for Peace? THIS IS A FREE ONLINE EVENT. Let’s make it count! !